The Restaurant Al Poggio di Casalucense is the right place where to grant oneself relaxing moments, while tasting an excellent cooking, that recalls the ancient tradition of the Ciociaria, but a cooking that can also satisfy the needs of all the young clients. Thanks to its favorable position and the elegant style, the Restaurant Al Poggio di Casaluncense is the right place for who wants to celebrate with elegance the most important events in his life. The wonderful territory in the surroundings of Cassino, by the way, contributes to enhance the charme of this luxury restaurant and hotel that is plunged into the green, among Latium, Molise and Abruzzo. 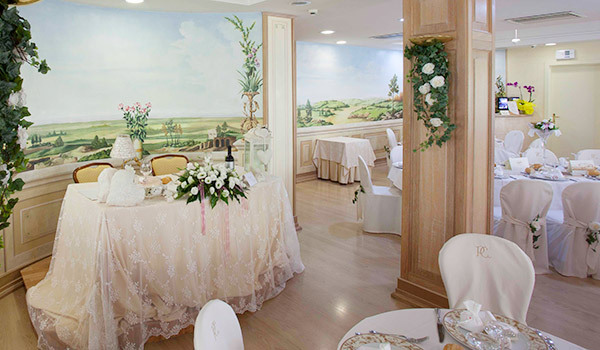 Really appreciated for weddings and any other special event, in Frosinone, Poggio di Casalucense is among that restaurants that offer to the Guests a wide range of excellent regional specialities, high cooking experiments and exquisite desserts. To grant oneself special pleasant moments. 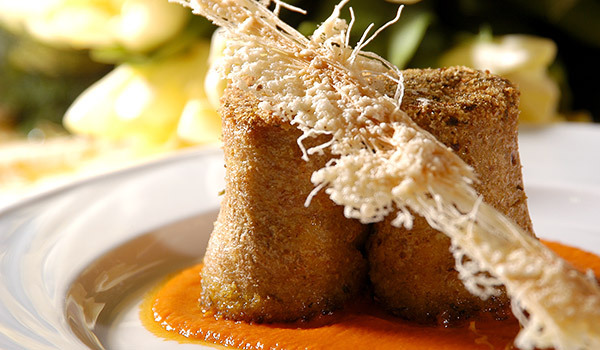 The quality of our dishes is due to the wise hands of the chef Vincenza and Daniela Merucci and their partners, in addition to the quality of the ingredients, such as the chestnuts and truffles of the Appennines, that allow to do so unique experiments. Among the restaurants in Frosinone and its Province, at Al Poggio di Casalucense one will find a rich and prestigious menù: excellents fish-based dishes, meat-based dishes, dishes for vegetarians, vegan, celiacs, typical items revisited in a modern way, to be tasted in one of the panoramic rooms or in the amazing, beautiful garden, while also tasting exquisite wines. The chef love to give to their recipes the hybrid character of the high quality culinary art, that matches tastes often simple. Starters, main courses, second courses and sweets, rigorously made by us, will surprise you with their history, their typical tastes and the way they are served... like true pieces of art. The spaces at disposal of our Guests make it possible to organize a lot of different events, by giving life, for any occasion, the most suitable spaces and atmospheres. We have exclusive ideas and solutions for weddings, business events and your conviviality moments with the ones you most love. Our staff, before your arrival, will take care of every detail, the menù, the flowers and the spaces to give you a five star service, at very small prices! 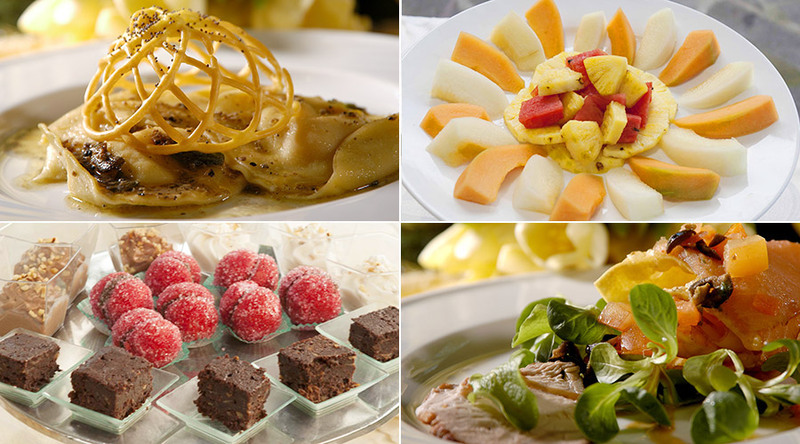 Our cooking proposes modern experimentations and menù according to the best cooking of the Ciociaria. The chef, Vincenza and Daniela, love indeed to preserve the hybrid character of high class cooking that often matches simple tastings. 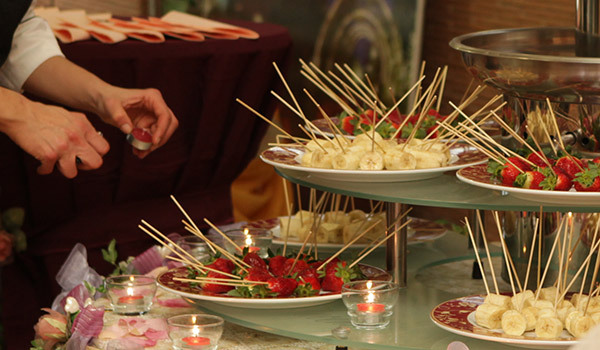 Starters, main courses, second courses and sweets will surprise you with their history and the tipycal tastes, all served with decorations that make them real pieces of art.